I only ever check traffic to my site when I'm writing these posts, because I honestly don't think I need to care about it much. Maybe that's because I've been a service-based business for so long and haven't had to worry about generating traffic to my site to sell my products. This month has been my highest traffic month of the last six months so I'm happy to see my website traffic and audience is growing. That can only mean good things for the future of my blog posts & products! I just have to make sure I keep up with posting high-value content for my visitors to find. Most popular opt-ins: My new social media action plan. About 15-20 people a day sign up for it, making it just as popular as my main opt-in (my 6-day Brand Discovery course). I conducted a little test this month. I removed Leadpages from my site and just used the standard Convertkit* opt-in widgets. The days on the left of the graph are the days I wasn't using Leadpages for my opt-ins. The days on the right are the days I started using Leadpages again. When I stopped using Leadpages, my daily subscriber rate went down to 10-13 subscribers a day and when I started using it again I began getting 25-30 subscribers a day. It's clear that people are so used to using Leadpages now and trust it so much, they possibly don't feel as comfortable using other types of opt-in boxes. So, for all the people who have been asking me if Leadpages is worth investing in: yes, it is if you want more subscribers. SO much has been happening at Nesha HQ that I'm struggling to fit it all in this article. 01. I've been planning a webinar with my good friend Caitlin Bacher. The webinar is on February 6th and you can sign up here! Planning a webinar has been harder work than I ever imagined, but it is SO much fun! I've been designing slides, creating content, creating and scheduling emails, laughing with Caitlin over Google+... It has been a blast so far and I'm really looking forward to teaching alongside her next month. If you don't know who she is then you MUST check her out here. Caitlin is a social media maven. She makes thousands of dollars from Instagram every day and she managed to build a six-figure empire in her first year of business. But those aren't the reasons why I think you should check her out. She's not just a badass entrepreneur, she's a mom, a wife, and a really good laugh. Even though I'm not striving for a six figure business myself, I feel like she's a great example of a powerhouse business woman who has it all. She's someone other mompreneurs can look up to, and I'm really proud to call her my friend. 02. I've been writing and designing a 50- page printable marketing workbook for freelancers. I've poured every marketing strategy that has ever worked for me into this book, and I've spent forever making sure the worksheets and information will genuinely help you book more clients. I'm really proud of what I've achieved with this workbook. It's packed with advice to help you find clients via referrals, following up, paid advertising, content marketing and more. It isn't for sale on my website but you can get it in my webinar with Caitlin, along with a whole bunch of other goodies designed to help you get more clients. 03. I've been designing a brand and website for a client. I've been working on a beautiful brand and website for a client who is swiftly turning into the Client From Heaven. She's so sweet and I love working with her! Because I've had so much work on my plate, I haven't had chance to update my portfolio or show you guys any of my latest work but I'm doing a big update soon. Stay tuned for some brand reveals! I've got ebooks coming out of my ears. But gosh, has it been fun creating them! I've gone against every value I hold about setting boundaries in business and not working on evenings and nights, because I've had to do that quite a bit this month to get through the amount of work on my plate. It will all pay off though. I'll have two passive income streams at the end of it and I'll be able to help freelancers in ways I've really wanted to lately. I want to make more of an impact on the freelance world and really help freelancers build, grow and streamline their businesses, and these two books are the start of that. 1. Have a successful webinar with Caitlin. I've poured so much of my heart into making this webinar amazing, so I really hope it pays off. Someone already purchased our bundle from her online shop the other day, which we were both really excited about because it shows that our bundle is something that will truly benefit freelancers! 2. Achieve my income goal for Social Splash. I have a modest income goal for this. I didn't set an outrageous goal because I didn't want to look at my goal and feel scared, I wanted to see it and feel confident. If I surpass my modest goal, I'll be really happy. A lot happier than I would have been if I set a super high goal and didn't reach it. 3. Plan a pitch-free workshop/challenge for the end of the month. I'm jumping into the world of webinars and live streaming this year, and I want to make sure you guys don't feel like I'm being sales-y or pitch-y in all of them. That's not who I am. I'm not after everyone's money. I just want to do what I love and earn enough to live from it. I'm hosting a few webinars where I will be pitching something at the end, but I'm also hosting and cohosting some workshops and webinars that will be pitch-free and will simply be there to benefit you. Don't take on client work and product-creation at the same time. Why did I do that? Why?? I feel like this is the reason I've had to work some weekends and nights. It's difficult to focus on both when they're so different, and it's different to fit them all into my schedule. I've learned not to do this in future. When I plan and crate my next offering I'm taking a whole month off client work and I'm JUST going to create my product. Blue Yeti Mic* Since I'm hosting a lot more webinars and workshops this year, I invested in a fancy mic. Almost everyone in my industry uses this mic, so I knew this was the one. I'm really happy with it. The sound quality is amazing, the mic feels really high-quality, and it's really easy to set up. I tooootally recommend this mic if you're in need of one. It's a good investment. My webinar lighting* I love my mic but I love my lighting even more. If there is one thing your webinars need, it's professional lighting. I was worried about lighting because I'm hosting my webinars on evenings, but these lights make it seem light, airy and bright. Perfect! The Freedom app This is my new favourite app. I even spoke about it in one of my scopes. It's an app that blocks certain sites for a specified period of time during the day so you can be really productive and focused. And guess what? It's only $24 a year!! I think that's pretty darn cool. This month has been crazy. I've been creating books, working on webinars and planning future launches for the amazing year of 2016. I bought a Blue Yeti mic* to record lessons for you and use for webinars. I taught myself how to use Audacity to record and edit lessons so they were crisp and clear. I freakin' hustled hard to prep for my book pre-launch and the fun live events that are coming up in February. It was incredibly, ridiculously fun- but also haaaard. 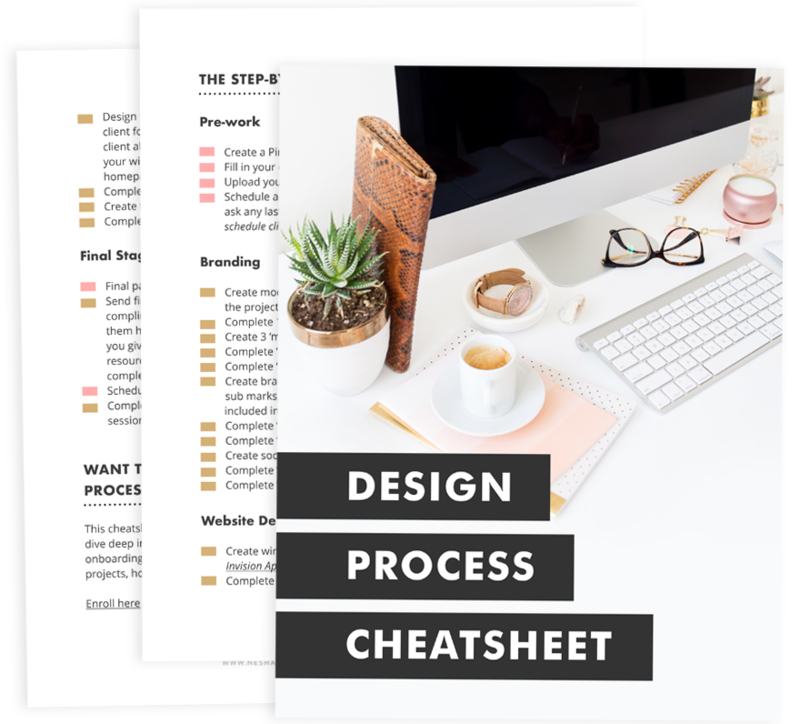 I couldn't have done it all without the help of the tools I mentioned above and the tools I've compiled into this fun workbook for you! The workbook includes tools you can use to create your very own eBooks, courses and workshops. It's basically a collection of the tools I've learned to use this month and the tools I'm planning on using more throughout the year. Don't forget to let me know in our Facebook group what you think of the tools and whether you have any you'd add to the mix.